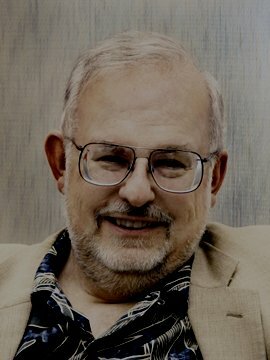 Greg Bear was born in San Diego, California, and attended San Diego State, earning an English degree. He has been a full-time writer since 1975. First published story "Destroyers" appeared in 1967, when he was 16. 1982 story "Petra" was a Nebula and a World Fantasy Award nominee. Novella "Hardfought" (1983) won a Nebula and was a Hugo finalist, while novelette "Blood Music" (1983) and story "Tangents" (1986) each won both the Nebula and the Hugo. His short fiction has been collected in The Wind from a Burning Woman (1983), Early Harvest (1988), Tangents (1989), The Venging (1992), Bear's Fantasies (1992), The Collected Stories of Greg Bear (2002), W3: Women in Deep Time (2003), and Sleepside: The Collected Fantasies of Greg Bear (2005). First novel Hegira came out in 1979. Other novels are Psychlone (1979; as Lost Souls, 1982); Beyond Heaven's River (1980); Strength of Stones (1981); The Infinity Concerto (1984) and sequel The Serpent Mage (1986); Hugo and Nebula finalist Blood Music (1985); Eon (1985) and sequel Eternity (1988); Hugo and Nebula nominee The Forge of God (1987) and sequel Anvil of Stars (1992); Hugo finalist Queen of Angels (1990) and follow-up /Slant (1997); Heads (1990); Nebula winner Moving Mars (1993); Legacy (1995); Dinosaur Summer (1998); Nebula winner Darwin's Radio (1999) and sequel Darwin's Children (2003); Vitals (2002); Dead Lines (2004); Quantico (2005); and City at the End of Time (2008). Other books include Foundation and Chaos (1999), his contribution to the Brin/Bear/Benford continuation of Isaac Asimov's Foundation series, and Star Wars novel Rogue Planet (2000). Bear also did professional artwork, illustrating his own stories and those of other writers, and even producing some covers. He was president of SFWA from 1988-90. Bear married Astrid Anderson (daughter of Poul Anderson) in 1983, and they have two children: Erik (born 1986) and Alexandra (born 1990). They live in Seattle WA. “Of course the master of them all is Olaf Stapledon. Every time I reread Stapledon (whom I started reading when I was 16), I keep finding stuff I thought I invented. In Last and First Men, there is artificial matter in the Neptunians' structures on the planet Neptune. Wil McCarthy has a patent on programmable matter, and I wrote about 'false matter' in Anvil of Stars, but Stapledon did it first. “When I was a kid reading The Night Land and The House on the Borderland and other stories by Hodgson, I realized there was a continuity in British fiction. Everyone had read H.G. Wells, of course, and in The Time Machine, Wells takes us to the end of that possible universe. The House on the Borderland has passages that echo a kind of Irish mystical version, with another journey through time and space; in The Night Land Hodgson does his take on extreme future evolution, but again that Irish mysticism creeps in, so it reads more like fantasy or horror than science fiction. “Right now I'm working on a follow-up to Quantico. My whole approach to writing is, have fun and branch out. It's part of an old tradition! I remember when Larry Niven collaborated with Jerry Pournelle and I thought, 'Oh my gosh. Is this the end of the Larry Niven we know and love?' They went on to write amazing books -- including one of my favorites, a scientifically-observed religious fantasy, Inferno. Every time an author tries a different road, we should celebrate, not complain. “Science fiction and fantasy make up a literature shaped and created largely by nerds, and that's one of the reasons the literary collective has rejected us. We spend far too much time thinking about science and nature, not so much time puzzling over the vagaries of fashion and social interaction... Nerds don't recognize most social boundaries -- in time, space, or culture. We generally don't discriminate or reject based on eccentricities -- how could we? Nerds can not only be unconventional, we can be irritating. But nerds got us through World War II (our nerds were better than their nerds) and later powered the extraordinary changes the world went through in the last half of the 20th century. We see the mark of nerds everywhere, from Alice in Wonderland to the moon landing, modern physics, modern biology, the computer revolution. Here in Seattle, we live within shouting distance of some of the most powerful nerds on earth. Nearly all the ones I have met read and love science fiction, and they're changing the world in creative and often controversial ways.